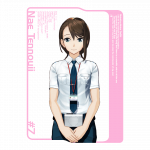 The Robotics;Notes DaSH official site was updated with comments from the game’s cast, and a sample of the Drama CD found in the game’s first print copies. Previously, 2-in-1 pack containing Robotics;Notes DaSH and an HD remake of the first game was also announced. 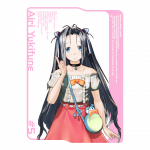 You can check the details about it, the pre-order shop bonuses, and the game’s opening animation in our previous article. 3D portraits and biographies for each character were also released. They’re listed below in the same order as cast comments. 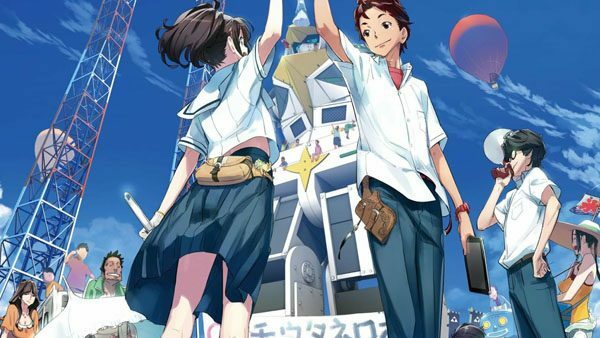 1)Please tell us how you felt when you first heard Robotics;Notes was getting a sequel. 2)Please share your impressions on the character you voiced. 3)If the character was real and you were about to introduce them to your friends, how would you do it? 4)To wrap things up, please share a message for all the fans reading. I was really happy. I know everyone poured their soul in the first game, so it was great to hear it’s getting a sequel. 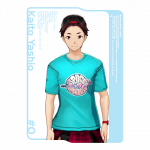 Kaito grew a lot through the first game, but he’s still young. You’ll be able to see him grow further in the sequel. I’d tell them he’s a bit weird, but a great guy. And surprisingly cute. It’s thanks to all the fans supporting us we were able to make a sequel. The story’s even better this time, I was really excited during the recording. Please look forward to it! I really wanted to see Akiho and her friends again, so I was really happy. I remember first seeing the news online, and how I wanted to see the script right away. I think Akiho’s even cuter in the sequel, but in an Akiho-way. She’s even more into robots than before too. But she also feels more like a woman now. I’d tell them she’s a super cute and nice girl. And how she likes robots. And then I’d just keep talking about her for hours. I’m happy the fans will be able to enjoy once more the beautiful scenery of Tanegashima. 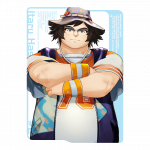 The story’s great, and the characters too, like Daru. 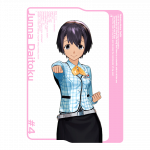 I’m very happy fans will get to see more of Akiho and everyone, and I hope they’ll appreciate the game. I was like “What the hell? 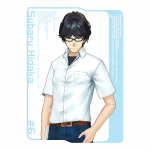 Itaru Hashida will appear in Robotics;Notes?!”. I didn’t know what was happening but I was happy I’d get to voice him again. Well, he’s like the group’s big brother. I’d tell them “he seems weird but is actually amazing”. 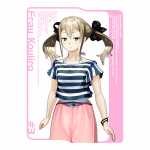 Well, it was my first time working on Robotics;Notes, and it was nice. I hope everyone will enjoy the game. I was soooo happy when I heard about it!! I couldn’t wait to voice Frau again. I initially had a lot of trouble getting into her character when working on the original game, but now it’s super fun. Well, she doesn’t change much compared to the first game. Back then, she managed to open her heart to everyone in the Robot Club, so it feels like she’s getting spoiled now. I’m really happy she has friends she can talk about anything with. I’d tell them “Sometimes she suddenly gets super excited or weird but she’s a very nice girl. Well, she might make fun of you though (laughs). But she’s super fun, and seeing her makes you think “there’s only one step between genius and childishness”. Thanks for supporting us!! It’s thanks to everyone we were able to make a sequel. I was so happy to spend time with Frau again. You’ll probably feel it in my acting (laughs). I hope everyone will play the game until the ending!! I was really happy to hear I’ll meet everyone from the Robot Club again. Back then, besides recording for the game, we also did a lot more things, like the radio show, or how the whole cast participated in Robocon, so first game left a huge impression on me. Back when the first game released in 2012, things in it like Augmented Reality felt so futuristic, but now it’s something used everywhere, it’s really surprising. You should definitely try out the first game if you haven’t yet!!! Well, some time has passed since the end of the first game, so Junna feels more adult-like now. In the first game, Junna also has a lot of trouble imposing herself and would talk very slowly, but that’s not the case anymore. I always kept that in mind when recording, to reflect in my acting how much her communication skills improved. I’d say she’s a very caring girl, the kind of friend that feels like she’s part of your family, and how she’s small and super cute!!! 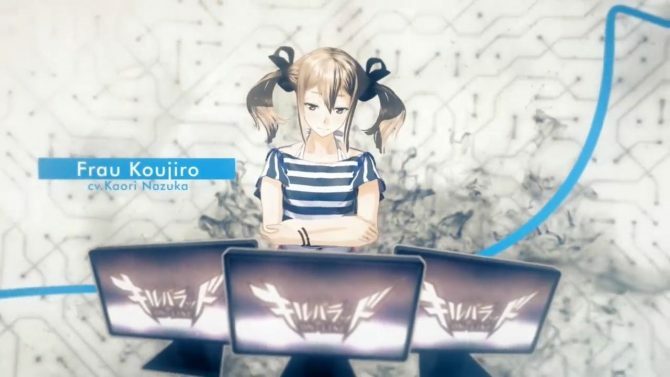 It’s impressive how the real world is getting closer and closer to Robotics;Notes‘ futuristic world. And yet it’s also very different. That’s a very interesting aspect of the franchise. 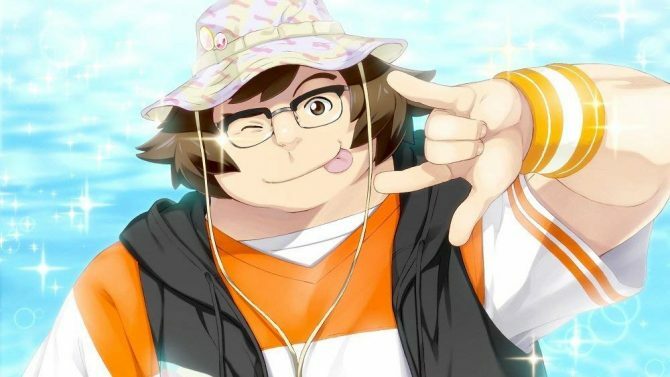 This time, there’s Daru from Steins:Gate too, so you should really look forward to it! I hope you’ll enjoy seeing how much Junna has grown too. I bet you’ll definitely feel like replaying the original game once you’re done with the sequel. Even if you haven’t played the first game yet, it’s fine to play this one first too!!! I always hoped for a sequel, so I was quite happy to hear it was happening. Airi is a really strong girl, but at the same time, she has a mischevious side to her, which was reinforced this time, so she’s even more awesome now. I’d probably just say how she’s a very nice girl. It’s fine to start with this game even if you played the original, so I hope everyone will enjoy it! In the sequel, only six months have passed since the end of the first game. But in real life, it’s been six years since the first game (laughs). When listening to myself back then, I kept thinking “wow, did this take really got approved? I sound so bad! !” (laughs). And I realized that Subaru is actually a pervert (laughs). It’s been quite a while since the first game, but I hope you’ll enjoy this sequel. I was so happy!! I watched the event where the game’s surprise announcement happened live and was so excited. When silhouettes that looked like the Robotics;Notes characters appeared, my heart rate was off the charts (laughs). Nae’s an amazing lady. This time, she spends more time with the Robot Club too ♬. I’d say “She might feel a bit unpredictable at times, but she’s a great woman you can depend on! She can cook and she’s stylish!! Sometimes she makes scary expressions though (laughs). But I’m sure you can become her friends too ♬”. The story starts six months after the first game’s ending!! Everyone has grown up a bit!! Nae changed as well. You’ll be able to meet them all again under the blue skies of Tanegashima!! Lastly, here’s a summary of the Drama CD Sample, included below. 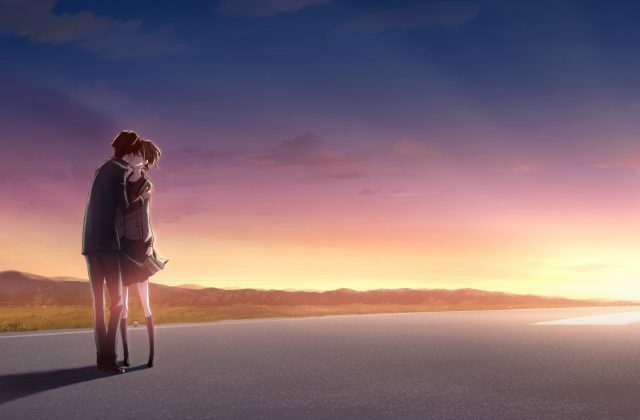 The story is titled “The place which holds our dreams”. It takes place one month after the end of the first game, and feature all eight main characters, though we don’t hear everyone in the sample. It starts with Aki frantically looking for Kai, before finally finding him on the school rooftop. It seems since saving the world, they’ve become famous and been quite solicited by the media and such. Aki still can’t believe everything really did happen. Kai agrees, seeing it felt like a dream. Everyone else who was there that day must feel that way too. As he says this, Junna joins them on the rooftop. Like Kai and Aki, she can’t feel at ease at home and ended up going to school. She ends up saying the exact same thing Aki and Kai were saying, about the events from one month ago feeling surreal, so they suddenly burst out laughing. 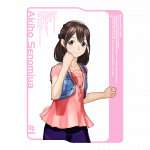 Robotics;Notes DaSH will launch on January 31st in Japan for PlayStation 4 and Switch. The game was announced back in August 2018. 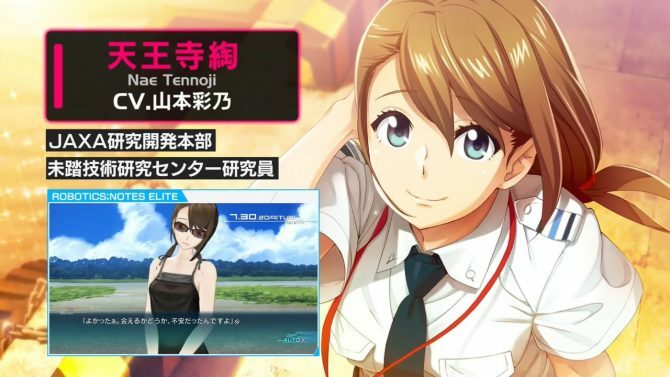 It wasn’t announced for the west yet, but it could come over, since Steins;Gate is very popular outside Japan and both games share the same universe.